Earlier this week, state Sen. Rick Bertrand (R-Sioux City) announced his plan to introduce a “Stand Your Ground” bill in the General Assembly. The proposed legislation would apply only to concealed weapon permit holders who find themselves in self-defense situations. It would eliminate current requirements that a person retreat before using force – including deadly force – to defend his or her self or others. Nothing has been officially filed yet, but when it is, it will join a number of gun rights-related bills already proposed in the Iowa House. House File 52 was offered last week by state Rep. Steven Holt (R-Denison), contains several aspects of a “Stand Your Ground” bill. It allows the use of “reasonable force,” including deadly force – even if other alternatives exist – when a person reasonably believes that force is necessary to “void injury or risk to one’s life or safety or the life or safety of another,” if alternatives entail a risk to life or safety, or the life or safety of a third party. The bill also allows that a person can be wrong in his or her estimation of the risk he or she faces, and it removes the current requirement to retreat before using force. It also provides for immunity from both criminal and civil court action as the result of the lawful use of reasonable force. Iowa Gun Owners has declared its support for HF 52. Lobbyists for the Iowa Association for Justice, Iowa Citizens for Community Improvement Action Fund, the Iowa Annual Conference of the United Methodist Church, and the Justice Reform Consortium have declared their opposition to the proposed legislation. House Democrats have filed several bills that would curtail Second Amendment rights in Iowa. House File 70, filed this week by Des Moines Democrats Bruce Hunter, Marti Anderson, Ako Abdul-Samad, and Jo Oldson, would prohibit the sale of large-capacity ammunition feeding devices. The bill defines “large capacity” as more than 10 rounds of ammunition, and establishes that a violation is an aggravated misdemeanor. The League of Women Voters of Iowa is in favor of the bill, while both Iowa Gun Owners and the Iowa Minuteman Civil Defense Corps have declared they are opposed to it. The same four legislators also filed House File 76 this week. That bill would prohibit the sale or transfer of “semiautomatic assault weapons,” and broadly defines the term to include a number of firearms. The proposed legislation does not apply to firearms that are operated by bolt, pump, lever, or slide action. A violation of HF 76, if enacted, would be a Class D felony, punishable by up to 5 years in prison, on the first offense. Second or subsequent offenses would be considered Class C felonies, punishable by up to 10 years in prison. As with HF 70, the League of Women Voters of Iowa is in favor of the bill, while both Iowa Gun Owners and the Iowa Minuteman Civil Defense Corps have declared they are opposed to it. State Rep. Mary Mascher (D-Iowa City) joined her four colleagues from Des Moines to file House File 77 this week, as well. If enacted, the bill would require a private firearms seller to first receive a background check on the proposed buyer from a federally licensed firearms dealer before conducting the transaction. 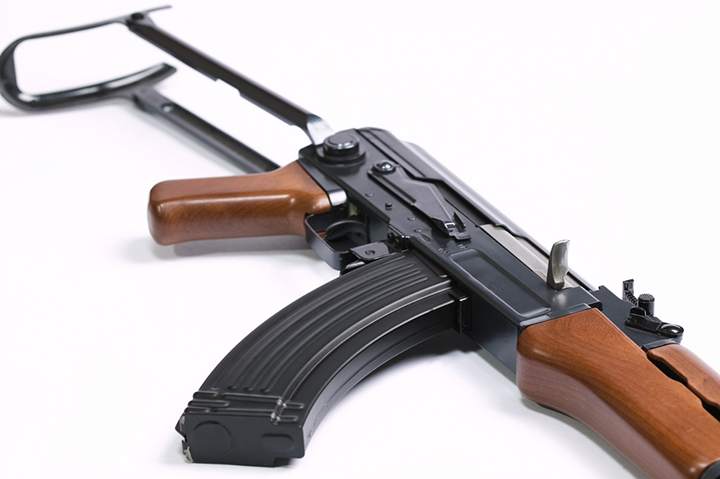 The firearms dealer may charge any fee he or she deems appropriate for providing the service. Failure to comply with the legislation, if enacted, would be an aggravated misdemeanor. The League of Women Voters of Iowa is also in favor of this bill, while, likewise, both Iowa Gun Owners and the Iowa Minuteman Civil Defense Corps have declared they are opposed to it.